Neither Information technologies determine organisational structure merely, nor does organisational structure. There is a mutual interaction between there variables. Using information technologies is a must for the organisations in this century. However how information technologies evolved over the time brings a question of what effect can technology bring towards organisations and their structure. This study discusses the conceptual issues that raise the importance of technological tools, views and ways that followed by organisations and changed over the time. It also examines technological, organisational and interactive ties that connect organisational structure and the information technology. It concludes that information technologies have an impact on the organisational structure via centralisation and decentralisation, authority and control, space of control, change in organisational level, departmental structure, decision making process, communication, and organising the work. Adnan Celik, Faruk Kalay. "Information Technologies and its Impact on the Organisational Structure." 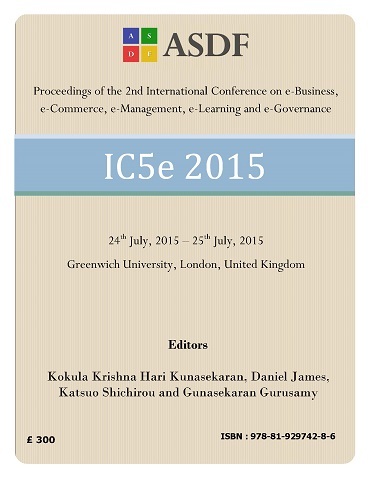 International Conference on eBusiness, eCommerce, eManagement, eLearning and eGovernance (2015): 20-25. Print.